Cordaid is a Catholic development organization that has been working for centuries on poverty reduction and development aid for the poorest. 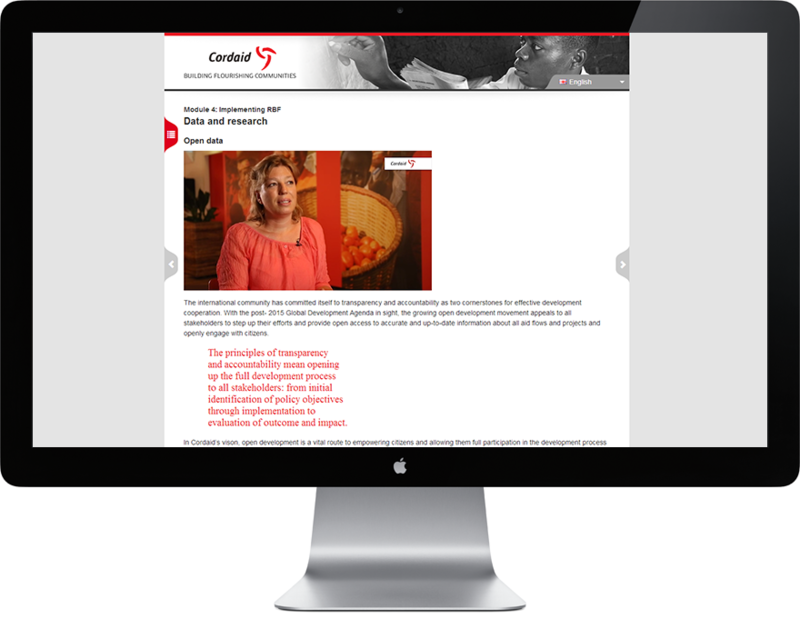 One of the projects of Cordaid is "Result Based Funding". For this project we have created both an online and offline learning environment that is used in training projects in several countries in Africa.